Melandri: "Last year our main rival was the heat"
Dominating the 2018 MOTUL FIM Superbike World Championship season opener in Australia, Marco Melandri (Aruba.it Racing – Ducati) heads to Thailand as championship leader and is determined to bring the fight to Buriram after he struggled slightly last season. Alongside Chaz Davies (Aruba.it Racing – Ducati) who, after a positive opening weekend is looking forward to fully assessing his level on the 2018 Panigale’s. 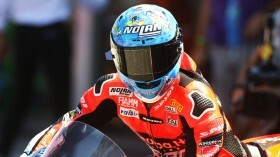 Italian Melandri suffered in the final corner around Chang International Circuit, facing battles with Tom Sykes (Kawsaki Racing Team) on both occasions. Taking a podium finish in race two, Melandri is happier to head to Buriram with more experience on-board his Panigale R and is ready for the fight. "Buriram is undoubtedly a peculiar track, but I like it. Despite the fact that it doesn't have one of the most technical layouts, it's still a lot of fun to ride. Last year, our main rival was the heat as I struggled more than expected with 40 degrees, so I hope that the conditions are a bit more favorable this time. However, we should also consider that I had very little experience with the Panigale R back then. In the 2017 races, Sykes passed me twice in the last corner, but now I feel much more determined and ready, so I can't wait to get back on track." British team-mate Davies is ready to fight back after a race two crash in Australia, but it hasn’t knocked his confidence after he felt happy and comfortable with his bike. With a mixed history around Chang International Circuit – which has improved throughout the years – he is ready to bring the fight to his rivals: "After a positive start in Australia, I feel good about going into round 2 in Thailand. Buriram is a good track to assess our level and see where we are with the 2018-spec in general, but also to pick up from where we left off at Phillip Island. The crash in Race 2 obviously wasn't ideal, but the positive is that I felt good on the bike, both physically and in terms of overall feeling. We want to confirm how competitive we can be. The heat in Buriram makes it a bit more difficult for everyone, but we got progressively closer to the win every year, so hopefully we can close the gap altogether this time. I'm really motivated and looking forward to the weekend." 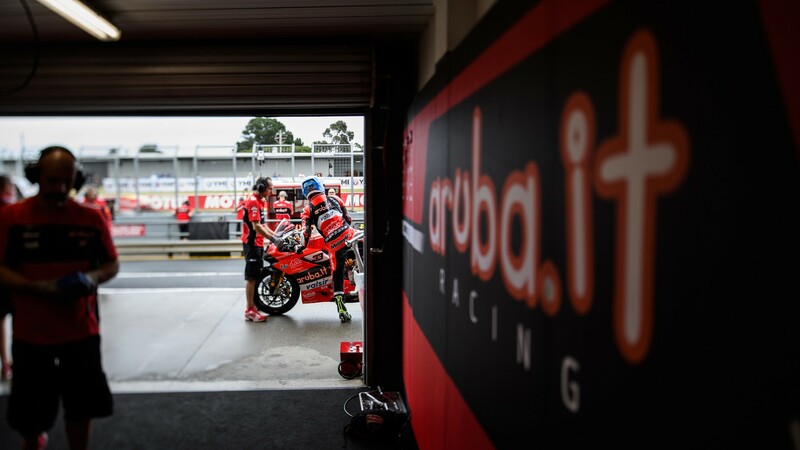 Keep up with Aruba.it Racing – Ducati and their rivals out on track as WorldSBK hits Buriram from 23rd – 25th March all with the WorldSBK VideoPass.